Copyblogger is company and an online community dedicated to teaching content marketing. The Copyblogger site offers a wealth of information that’s helpful for email marketers, including a free ebook on the many aspects of a running a successful email marketing campaign, regular blog posts about the latest news and ideas in email marketing, and a wealth of advice on effective copywriting. ClickZ Academy offers professional training courses in three formats: online courses, webinars, and onsite trainings at conferences around the US, Canada, and select other countries. With ClickZ Academy, you have a variety of options, from learning a bit about recent trends with a short webinar to making a major investment like their $790 full course on email marketing. Constant Contact offers one of the most popular software packages for running email marketing campaigns, but the company’s web site offers education in email marketing beyond just the use of its software. The Constant Contact Learning Center includes a blog, online tutorials, videos, podcasts, webinars, and even in-person trainings in cities around the US and Canada?giving instruction in all aspects of email marketing, as well as social media marketing, event marketing, and using online surveys. While in-person trainings and some online content requires tuition, much of the information Constant Contact offers is free to access. The Chief Marketer newsletter and online community offer information and the latest news on many facets of business marketing, including promotions, web, social media, direct mail, mobile marketing, database marketing, lead generation, and email marketing. Their email marketing page shows you all of the Chief Marketer articles on email marketing, and new articles are regularly added to keep you up to date. You can also visit their Marketing Essentials Library to find free webinars, white papers, and tip sheets on email marketing. This post from the online marketing blog, StayOnSearch, shows you how to select email marketers you admire and want to emulate, and then systematically study them to learn what makes them successful?and what you wouldn’t do in your own email campaigns. 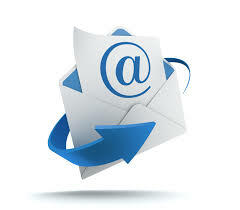 How do the greats entice people to sign up for email lists? What happens when you subscribe? How often do they send out useful content, versus advertisements and promotions? With this plan, you can create your own email marketing continuing education course. Use PaySimple’s online software to processing auto-recurring payments, manage your customers and process payments online.